Fox’s primetime crime drama Lucifer went out of its way Monday night to condemn President-elect Donald Trump. 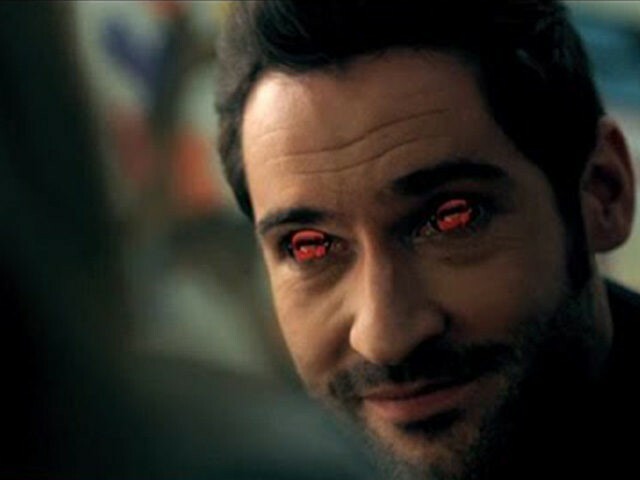 Episode 8, “Trip to Stabby Town,” sees Lucifer (Tom Ellis) in a session with his therapist Linda (Rachael Harris) who’s asking Satan a series of questions about hell and its occupants. Lucifer, initially reluctant to reply, eventually indulges Linda. 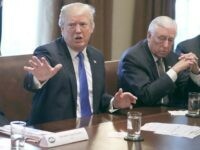 “So, we can, You know, talk about Caligula, Stalin, Trump. I mean, I know he’s not dead, but he’s definitely going,” Lucifer says of Trump. It’s hardly the first time Trump has been skewered in the plot line of a fictional TV show. In September, Comedy Central’s South Park kicked off its highly-anticipated 20th season with an episode that revolved around then-presidential candidates Hillary Clinton and Trump, with the show branding both as “Turd Sandwich” and “Giant Douche,” respectively. Earlier this year, the Shonda Rhimes-created Scandal featured the character of Hollis Doyle, a swaggering oil billionaire who runs for the presidency as a Republican. And last month, NBC pulled a politically-charged episode of Law & Order: SVU, which, as Variety reports, featured a character that closely resembled the president-elect. The episode has reportedly not yet been assigned a new air date. Lucifer, while establishing critical and commercial success, has not been without its share of controversy. A petition launched by the American Family Association urging FOX Network to cancel Lucifer has gathered over 135,000 signatures since May 2015.